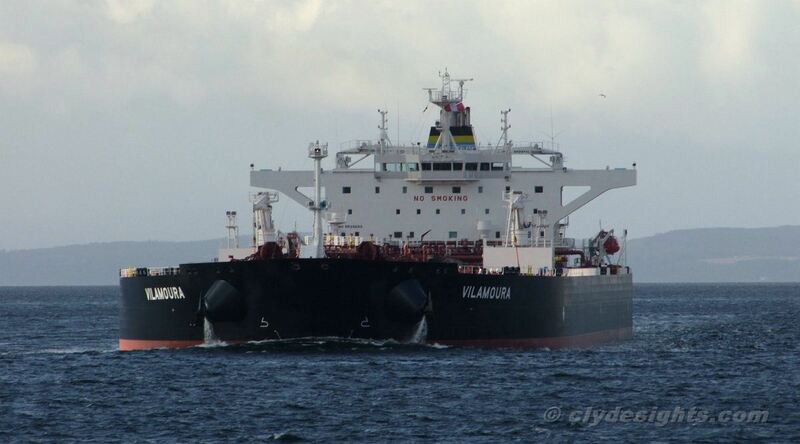 Following QUEEN ELIZABETH up the Firth of Clyde was the Suezmax tanker VILAMOURA, fully laden with a cargo of Nigerian crude oil from Forcados. A modern double-hulled tanker, she was completed in March 2011 by Samsung Heavy Industries in Korea. 264 metres long, she has a deadweight of 158,621 tonnes and is operated by Heidmar.